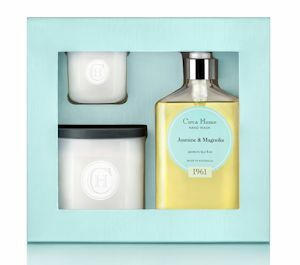 Circa Home will be releasing two limited edition gift sets for Mother’s Day, with “One For You, One For Your Mum”. Available in two of their beautiful top selling fragrances – Jasmine & Magnolia and Mango & Papaya, you really will want to buy one for yourself as well as for Mum. Jasmine and Magnolia is reflective of 1961, with an extra dash of Ylang Ylang and Frangipani to complete the fragrance. Mango and Papaya will transport you back to the party days back in 1998 with Mango, Orange and Passionfruit and a little touch of Vanilla and Jasmine. With the brands signature pale blue packaging, these sets are boxed to perfection in a simple yet elegant design. 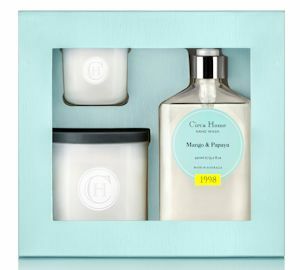 Inside each gift set you will find a 450ml Hand Wash, a 260g Classic Candle and a 60g Neroli and Vanilla Miniature Candle. The RRP is $49.90 but like all good gift sets, the value is higher than that with the contents valuing over $60.